Fact or Fiction: Huffman's tv character also paid $15k for admissions? 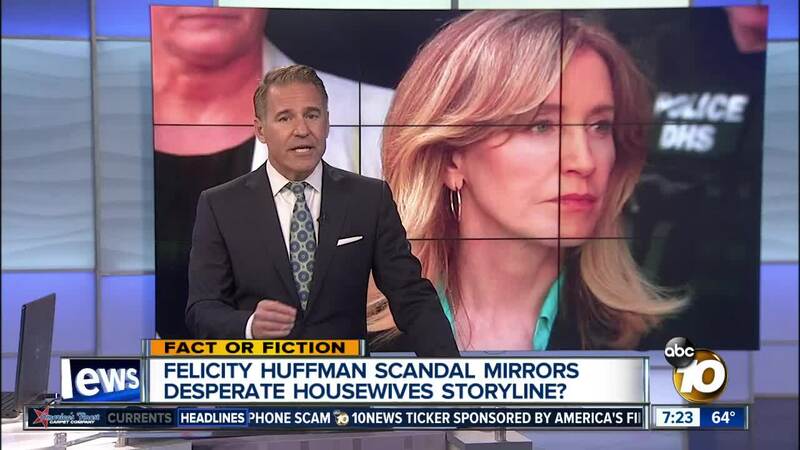 (KGTV) - Did Felicity Huffman's character on Desperate Housewives also pay $15,000 to get her kids into a competitive school? On the show's 5th episode in 2004, Huffman's character Lynette Scavo pays $15,000 to get her twins into an exclusive private school. That's the same amount the actress paid in real life to get her daughter's SAT answers secretly corrected.